What young child doesn’t love the din of Christmas? The lights in shop windows and holiday hum, a promise of bellies full of cookies and piles of presents. And when most of us think of Christmas we think of a bearded man in a red suit, jolly and adept at delivering toys. We accept his magical elfin assistants and flying abilities in a way that goes almost unquestioned, chalking it up to the “magic of the season.” And when we think of holiday horrors it is usually high prices or forgotten presents, perhaps a burnt Christmas ham. What would your children say if you whispered tales to them not of Christmas cheer and sightings of the elusive Santa Claus, but stories of a different kind of magic altogether? What if you told them that at the stroke of midnight on Christmas Eve, curious things happen: Wells run with blood. Animals talk. Buried treasures are revealed and water turns to wine. And if you warned them of witches that leap from roof to roof, or ghosts that hung about the chimneys waiting to visit them in the dark of the night, would they still anticipate the winter holidays in the same way? 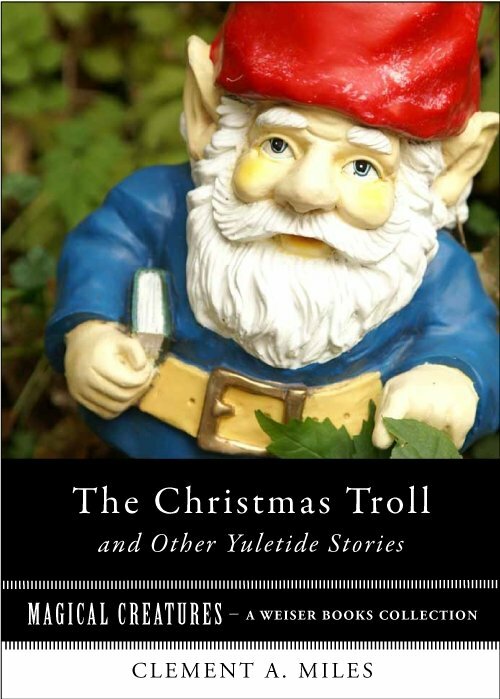 Well this is the perfect time of year to investigate such horrors with my cute, cheap e-book, The Christmas Troll and Other Yuletide Stories! And if you are a fan of The Wizard of Oz, you’ll want to read Frank L. Baum’s short story, A Kidnapped Santa Clause, which might well have been an inspiration for Tim Burton’s The Nightmare Before Christmas! In the 1859 Christmas edition of his regular publication, All Year Round, Charles Dickens solicited his favorite authors to take up residence in his Haunted House. With an introductory story by Dickens (The Mortals in the House) each author writes from the point of view of the ghost residing in a room. On the Twelfth Night of Christmas, a night believed to hold supernatural powers, the ghost begin to speak. Adelaide Anne Procter, who was Queen Victoria’s favorite poet, delivers the tale of “The Ghost in the Picture Room” entirely in rhyming verse. Wilkie Collins, a lifelong friend of Dickens and a well-known author and playwright, delights with his nautical story of “The Ghost in the Cupboard Room.” And Elizabeth Gaskell, in the longest of the stories in the collection, paints a vivid portrait of the ghost of a judge in “The Ghost in the Garden Room.” For any lover of Dickens, Gaskell, or even just a good ghost story, this unique collection will warm the heart and chill the bones. 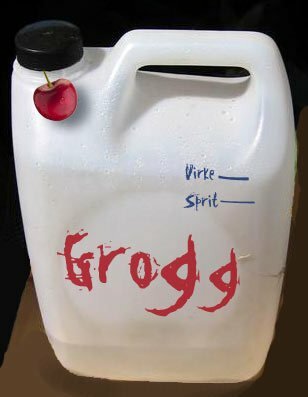 So grab your little nookie wook or other digital reader or kindle-poo and pour yourself (and your family) a round of these drinks. (Remember not to serve alcohol to children under 21) Get cozy, light the Yule log, and get ready for a fun Christmas-themed fright night! Red wine (cheap is fine!) You’ll want two bottles on hand. Some recipes, like this fun one from npr, call for port wine as well. If you use a more robust red wine, like an old vine zinfandel, I think you can skip the port. Raisins-maybe 1/2 a cup at the most. Sugar–just a few spoonfuls will do. Cinnamon sticks–those big, fun long ones. So festive! Cloves and orange slices: I like to stud my orange slices with cloves so that a) it looks pretty and b) no one gags on the stray cloves. Dump this all together into a cauldron over the fire, or a crock pot, or a nice cooking pot on the stove. I do mean dump. Half the bottle of brandy, the whole bottle of wine, half a dozen cinnamon sticks, etc. Let this simmer for at least an hour. Don’t burn it.